Pick up your rental car at Calgary airport and make your way to downtown Calgary. Make an early departure for Banff so that you may spend your day exploring one of the most beautiful town-sites and national parks in the world. 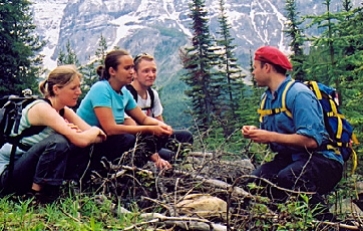 Banff offers a wide variety of activities. The popular Sulphur Mountain Gondola provides stunning views of Banff town-site and the surrounding mountains. Hike to classic locations in the Banff or Lake Louise areas â€“ Share the passion for the mountains with local, enthusiastic guides - Explore the trails in one of these areas; Yoho, Larch Valley, Stanley Glacier, or Plain of 6 Glaciers - Hiking time is from 4 to 6 hours - Locations vary each day of the week - Guests must have sturdy footwear and dress in layers in case of weather changes. Your Tour Includes: certified hiking guide, hotel pick up and drop off, use of hiking poles, use of binoculars, hearty packed lunch with choice of sandwich. Day 4: Banff â€“ The Crossing (134 km) Today you will travel through Lake Louise Canadaâ€™s â€œDiamond in the Wilderness,â€ and the â€œHiking Capital of Canadaâ€. This area offers a tremendous diversity of recreational and sightseeing opportunities. Lake Louise is home to one of North Americaâ€™s finest downhill ski areas, and has numerous hiking and walking trails. After you have explored Lake Louise you will continue along the Icefield Parkway. There are many trail heads along the Icefields Parkway that range in ability from the very easy strolls to half day hikes and overnight hiking expeditions. From the front door of The Crossing, one can take an evening stroll to the Saskatchewan River Viewpoint, or enjoy a half day hike to Warden Lake. Glacier Lake trailhead offers a 10 mile hike through a variety of terrain and, if you want to go up - Sarbach Lookout is a hike along an old fire road that takes you above the tree line for spectacular views of the valley. Day 6: The Crossing - Jasper (155 km) Jasper National Park is a quiet spot in the very heart of the Canadian Rockies, the little resort town of Jasper Alberta is a favourite spot to all who experience it. Jasper highlights are scenic drives to Maligne Canyon and Maligne Lake, Jasper Tramway up Whistlers Mountain, and a wide range of activities from rafting to hiking. The Maligne Canyon Trail provides picturesque views of a canyon gouged out of limestone by the glaciers. Although going in the opposite direction is easier, the views are much nicer if you walk up the canyon trail as opposed to down. It is well worth the extra effort. This is an interpretative trail and the explanations along the way make the hike all the more interesting. There is a small interpretive side trail that takes you to a pretty waterfall. Travelpack recommends: Mount Edith Cavell Hike This 6 km hike encompasses some of the most stunning scenery to be seen anywhere. Your guide will lead you to several viewpoints overlooking the moraine fields, bright glacial lakes, and the huge 1000m face of Mt. Edith Cavell. As you hike up the trail it will gradually open up into a lush alpine meadow carpeted with wildflowers, overlooking the angel glacier, which is always active in the hot afternoon as avalanches and seracs fall from the mountain. Length: 6 Hours. Wells Gray Park is located between Jasper and Kamloops, near the town of Clearwater. Most visitors enter the park via Clearwater, where there is an excellent information center for the park. The park has many short trails exploring old-growth forests, pioneer homesteads, old volcanoes, canyons and more. The alpine trails in the south of the park offer spectacular views and, in late summer, breathtakingly beautiful wildflower meadows. This park is known as waterfalls park because within the park boundaries are more than 40 different waterfalls. The most famous and spectacular are Helmcken Falls, at 142m it is Canadaâ€™s fourth highest. Wells Gray Provincial Park like Helmcken Falls, Dawson Falls, and Green Mountain Viewpoint. The highlight is an approximate 2 hour canoe trip on Clearwater Lake to Cariboo Campground, where you will enjoy a picnic lunch. Day 10: Clearwater â€“ Revelstoke (334 km) Nestled between the spectacular Selkirk and Monashee Mountains, Revelstoke offers full visitor services in the charming downtown area. Quaint boutiques, casual coffee bars and restaurants are all within easy walking distance. Revelstoke is home to some of the best adventure recreation opportunities in the world! Hiking, mountain biking, fishing, caving, hot springs, heli hiking, canoeing, the list goes on and on. Day 11: Revelstoke - Radium Hot Springs (257 km) Kootenay national park offers a wide array of scenic attractions. Hanging glaciers and breathtaking summits, the limestone Marble Canyon and natural mineral pools at Radium Hot Springs are just some of the attractions the park has to offer. Your arrival day into Cross River Cabins wilderness retreat (CRC). A hot evening meal will be served over some friendly introductions before settling in to a relaxing night around an optional campfire or in your cabin. Included Activity: Kootenay Wilderness Guided Hiking After a hearty breakfast, and a precautionary safety talk including bear safety, you will spend today out on a day hike that brings you high above the valley floor in White Man Pass, to a secluded unnamed lake, seldom traveled to. Along the way, you will experience spectacular views from lofty ridges above tree line and varied terrain, including marshy wetlands, scree slopes, and river beds. All areas could provide a variety of vegetation and possible wildlife sightings. We return back to CRC for another relaxing night around the cabins, in the hot tub, or around an optional campfire with stories and music. Today you will be taking a half-day hike to a lofty mountain ridge beneath the towering Tangle Peak. The walk will be slow and satisfying, as the view from the top will be nothing less than breathtaking. Mountain peaks will abound all around you, including the sixth highest mountain in the Rockies, Mt. Assiniboine. These ridges are often visited by mountain goats, deer and Golden Eagles. Who knows what other surprises could add to this experience on this very secluded trail. After our descent back to CRC and one last meal you will depart for your next journey into the southwestern corner of the province of Alberta, Waterton Lakes National Park. Day 14: FREE DAY Waterton National Park Waterton Lakes National Park is an unspoiled gem tucked away in the southern corner of Alberta along the Canada-U.S.A. border. The Canadian side of the park actually combines with Montanaâ€™s Glacier National Park, creating an international peace park. The park is rife with an assortment of natural attractions. Some of the parks most visited sites include Cameron Falls and Red Rock Canyon both serving as compelling backdrops for wildlife viewing, day hikes and more. Hiking is a favourite pastime of those who frequent the Waterton area, and the Crypt Lake Trail continues to impress hikers of all skill levels. Waterton townsite is located in the heart of Waterton Lakes National Park and boasts easy access to all of the parks attractionsâ€”along with providing restaurants, and gift shops. Based on your flight times make your way to Calgary airport. Drop off your car at the airport before checking in for your flight home. 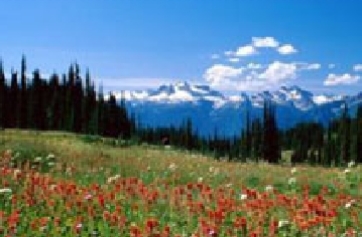 Wells Gray Provincial Park Appetizer Trip (Day 9) Daily 9:30 am - 6 hours with lunch included.